Red Mountain Ski Resort is located in Western Canada's towering Monashee Mountain Range. Plentiful snowfall and steep terrain make this region an ideal place for world-class skiing and snowboarding. With 2,919 vertical feet of fantastic tree skiing and wide-open glades, Red Mountain has been ranked number 13 in Skiing Magazine's "top 25 resorts in North America." The surrounding community also made National Geographic Adventurer's "10 Great Adventure Towns to Live and Play" in North America. More than one hundred years ago, deposits of gold-copper ore were discovered on the south side of Red Mountain. This discovery led to a major gold rush which filled the region and the mining town of Rossland with miners who were mostly from Scandinavia. The Scandinavians brought their love and knowledge of skiing with them and organized the Rossland Ski Club. Their first downhill race was held February 15, 1896. Following this race, annual tournaments were held during the Rossland Winter Carnival, an event that eventually drew competitors and visitors from Western Canada and the United States. In the 1940s, the Red Mountain Ski Club built a lodge and a chair lift to the top of Red Mountain, which officially opened as a ski area on December 26, 1947. After several decades of growth, Red Mountain Ventures began a master plan in 2004 to make the area a world-class ski resort, complete with high-end accommodations and extensive on-mountain improvements. Advanced/Expert terrain: Considered one of "North America's Top Ten Expert Resorts" by Forbes Traveler magazine, Red Mountain is one fantastic ride for expert skiers and boarders. Grey Basin is the central location for all of the challenging terrain, where steep meets deep and getting lost in the trees is another day in paradise. 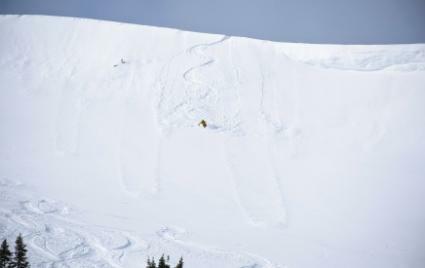 If you are looking for the ultimate day of skiing or snowboarding, hire one of the resort's catskiing or heliskiing outfits to take you to the epic back country deep in the heart of the Selkirk Mountains. There are several different companies to take you up into this snowy wonderland. 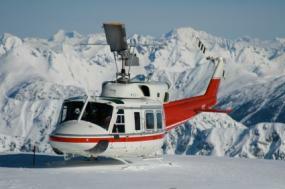 Snowwater provides exclusive heliskiing and boarding packages for three groups of four guests. The company's helicopters access more than 150,000 acres of untracked terrain on three separate mountain ranges, which boast huge alpine bowls, steep chutes, gorgeous glades and champagne powder skiing. Professionally guided snowcat skiing and snowboarding experiences from Valhalla Powdercats take you into terrain that is six times the size of Whistler and Blackcomb combined. Your day will be filled with incredible alpine bowls, steep old-growth tree runs and countless acres of untracked powder. Just minutes from Red Mountain Resort, Big Red Cats offers programs for intermediate skiers and boarders, as well as more advanced group members. The cats take you to more than 18,500 acres of bowls, old-growth forest and some of the most fantastic glade skiing you can find in Western Canada. For more information about booking a heli or catski trip call 877-969-7669 or email central reservations at reservations@redresort.com. Once you have made the decision to vacation at Red Mountain, finding lodging is just a click away. Check out their online property site, where you will find all of the available rental accommodations available. Choose from an array of condos, chalets and town homes, which include units that sleep groups up to 14 members.